If you’re thinking about applying for a new current account but are unsure if you’ll be accepted or not due to bad credit or issues with your application, then the icount current account for poor credit could be a great choice. Which current account for bad credit is right for me? If you’ve never applied for a poor credit current account before or you’re wondering what the benefits of switching might be, it can be a daunting task trying to decide which account is the right one for you. Regardless of whether you have a bad credit history, or you simply want a current account with a prepaid card to help with budgeting or rebuilding credit, why not try the icount poor credit bank account? icount’s instant UK current account is easy to apply for. Straightforward application process – You’ll find out if you have been accepted in just a few minutes. Instant sort code and account number – You can begin setting up direct debits and transferring money straight away. Open a basic bank account online with bad credit – A better option than a high street current account if you have poor credit. Apply now for an icount prepaid current account! Prepaid card – Only spend what you have loaded onto the card. Pay bills – Rebuild your credit by paying your normal bills. Deposit salaries and benefits – Instant sort code and account number makes this simple to set up. Set up standing orders and direct debits – Takes the hassle out of regular payments. Withdraw and deposit cash – Use the icount prepaid card wherever you see the Mastercard® symbol. Manage your money 24/7 – using online banking. Rebuild poor credit or establish a credit profile from scratch – Using icount’s CreditBuilder™ facility. Money when you need it the most with iDraft – The current account overdraft from icount available for you to use for unexpected bills and expenses. What is a current account and why do I need one? A current account is the same as a bank account. A current account allows you to deposit money into it and withdraw money out of it. What are the benefits of the icount current account for poor credit? With the icount prepaid current account, you’ll get instant approval and an instant account number and sort code (subject to verification) so you can set up your account within minutes. 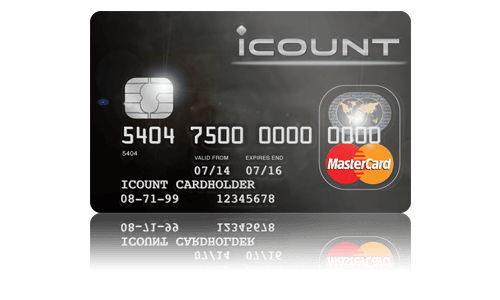 If you’ve had trouble obtaining a bank account in the past, you won’t have any problems getting an icount card. There are no credit checks involved when applying for an icount card. Many high-street bank account providers perform credit checks when you apply, therefore there’s a chance that you could be turned down for a bank account. However, with icount, there are no credit checks involved, so your application is guaranteed to be accepted subject to verification! Once you’ve set up your icount basic bank account, you can apply for an iDraft. The iDraft is a £250 arranged overdraft facility, that costs only 75p per day to use and the maximum you can get charged is £10 per month (in addition to the monthly fee). This allows you to spend over your balance when you’re in need of extra cash. Take advantage of the Cashplus mobile app and online ‘Members Area’, which allows you to monitor your icount card balance on the go. Take advantage of the Cashplus mobile app and ‘Online Servicing’, which allows you to monitor your icount card balance on the go. Once you’ve set up your icount basic bank account, you can apply for an iDraft. The iDraft is a £250 arranged overdraft facility, that costs only 75p per day to use and the maximum you can get charged is £10 per month. This allows you to spend over your balance when you’re in need of extra cash. Add the Creditbuilder™ to your icount card for free. 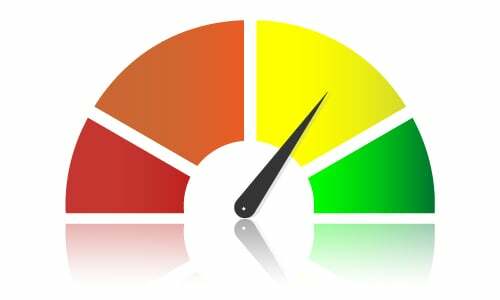 You could improve your credit score with regular monthly repayments. This feature doesn’t come with standard bank accounts. Yes! The icount current account comes with no credit checks, therefore you can open a bank account with bad credit. Yes. Similarly to icount, many banks offer an online sign-up process, eliminating the need for you to visit a brick-and-mortar bank branch. To open a bank account independently in the UK, you need to be at least 16 years of age. However, you need to be aged 18+ to open an icount current account. You can also obtain a current account for children and teens, but in most cases they’ll need the help of a parent or guardian who is aged 18+. Want to rebuild poor credit with your current account? The icount current account comes with many additional features, all designed to improve poor credit and assist with financial capability. If you have poor credit and are finding it tricky to get accepted for a bank account, give icount’s current account with prepaid card a try. You could improve your credit rating with the icount current account with prepaid card through Creditbuilder™. Find out more here https://icount.co.uk/advantages/creditbuilder/. Refused a bank account: What will happen if you apply for a prepaid card? Firstly, you’re not alone. The average person in the UK is rejected twice for a bank account if they have poor credit. Find out more about the application process and why the current account for poor credit from icount could be a good solution. If you’re looking for more financial advice and money saving tips, be sure to read our blog and money guides for additional information. Looking for more advice on your personal finances. Our simple and straightforward money guides offer advice and guidance on budgeting, banking and making the most of your current account. Updated on 2018-08-14T16:02:42+00:00, by Michael Scott.